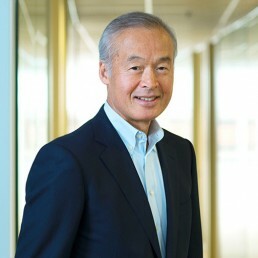 Dr. Tadataka (Tachi) Yamada is a Venture Partner with Frazier Healthcare Partners. Prior to joining Frazier he was Executive Vice-President, Chief Medical & Scientific Officer and a Board Member of Takeda Pharmaceuticals. Dr. Yamada has served as President of the Bill & Melinda Gates Foundation Global Health Program. In this position, he oversaw grants totaling more than $9 billion in programs directed at applying technologies to address major health challenges of the developing world including TB, HIV, malaria and other infectious diseases, malnutrition and maternal and child health. He was formerly Chairman, Research and Development and a Member of the Board of Directors of GlaxoSmithKline and before that he was Chair of the Department of Internal Medicine and Physician-in-Chief at the University of Michigan Medical Center. Dr. Yamada holds a bachelor’s degree in history from Stanford University and obtained his M.D. from New York University School of Medicine. In recognition of his contributions to medicine and science he has been elected to membership in the National Academy of Medicine (US), the Academy of Medical Sciences (UK) and the National Academy of Medicine (Mexico) and he has received an honorary appointment as Knight Commander of the Most Excellent Order of the British Empire (KBE). He is a Past-President of the Association of American Physicians and of the American Gastroenterological Association and hehas served as a member of the President’s Council of Advisors on Science and Technology and the Advisory Committee to the Director of the National Institutes of Health. He is currently Vice Chair of the Council of the National Academy of Medicine and serves on the Board of Directors of the Clinton Health Access Initiative.